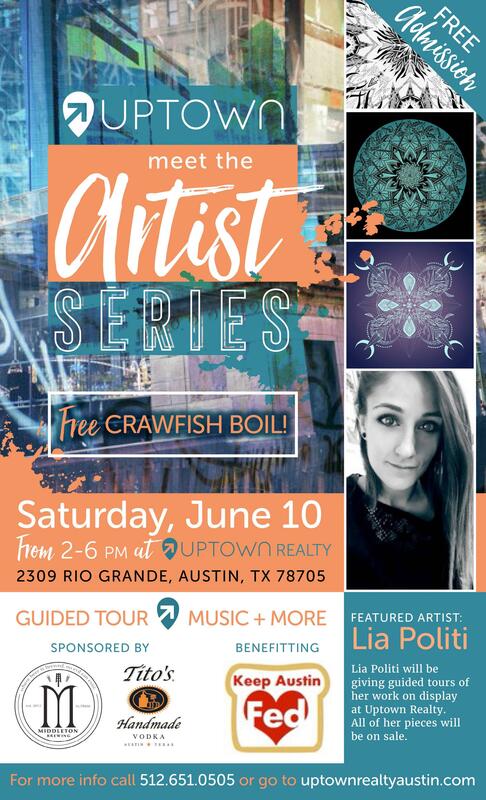 Come out to Uptown Realty’s first event Saturday June 10th from 2-6PM in our Meet the Artist Series featuring the amazing work of Lia Politi. FREE crawfish boil, music, and libations from Tito’s Handmade Vodka & Middleton Brewing. The party is completely free but we will be accepting donations for our charity partner, Keep Austin Fed and all of Lia’s artwork will be on sale. Stop by and bring a friend, we can’t wait to see everyone Saturday!